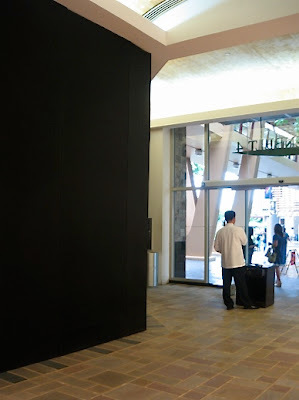 we were walking through greenbelt 4 a few days ago and as we exited towards greenbelt 3, we noticed that the bally store was boarded up. we asked the guard what happened to the store. he said it was transfering to greenbelt 5. we asked what was going to replace it. he said he didn't know. hmmm... could this be the future site for the hermès store that we keep hearing is being brought in by... any guesses...?